I love LARA bars! I think they are the perfect mid-morning snack (or meal 2 if you are on any of the DAMY plans). 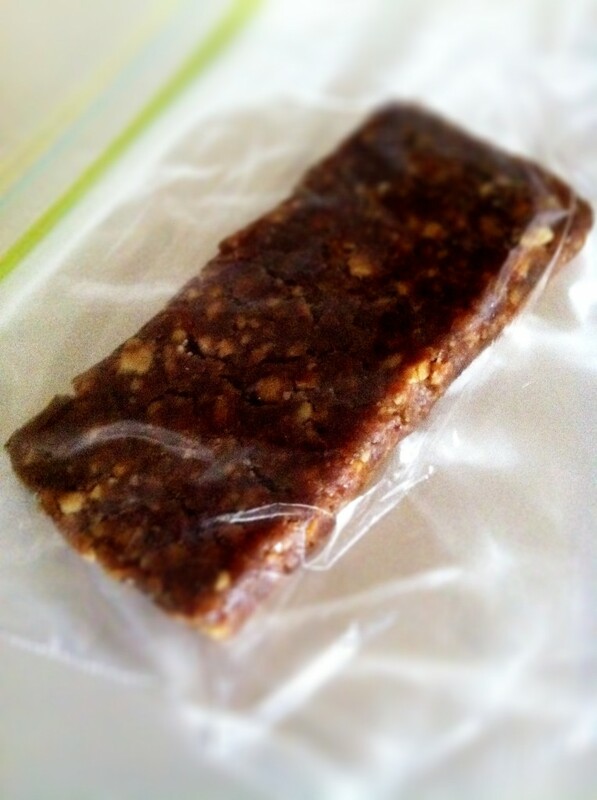 My clients share my affection for these little bars of goodness as well. They are great for many reasons: They are easy to throw in your purse when you are in a hurry, you can pack them easily for the kids, and they satisfy the sweet tooth. 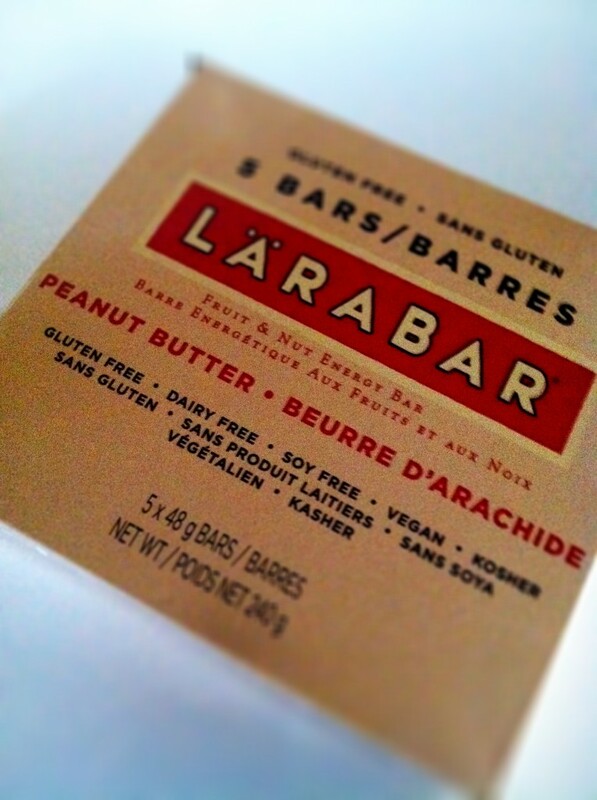 LARA Bars are: GLUTEN FREE, DAIRY FREE, SOY FREE, and VEGAN. These sweet pieces of heaven are made of basic natural ingredients, fruits and nuts. It doesn’t get any simpler. Each bar provides you with a great source of fiber, healthy fats and some protein. All-around they are wonderful and give you the boost of clean energy your body is craving. 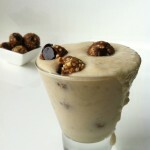 NEW – If you love LARA Bars you will love these creative LARA Bar-like Recipes. 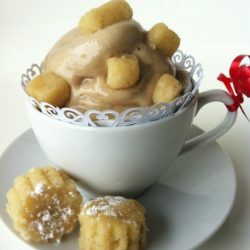 Here you will find a variation of Larabar cookies, truffles, bites and even blizzards! Enjoy! Here I have included the recipes for some of my favorite flavours of LARA Bars. This is for anyone that feels the bars are a bit pricey or like me, has one almost daily (my husband always has at least one per day). I just can’t get over how easy they are to make. You honestly can not go wrong! You have to try to make them. You will be hooked and so will your family. I have also included a “build your own LARA Bar section” for you to get creative and make your own LARA Bar flavor creations. *Some of the lara bars recipes included fall more under the “treat” category (the varieties that include chocolate) but these are defiantly a healthy treat option. The rest can be eaten daily as a mid morning snack! Place the dates and cherries in a food processor. Blend until it becomes like a paste. Transfer blended dates and cherries to a bowl. Add the nuts to the processor and pulse until chopped fairly small (but not too much, not nut flour. You want texture). Add the nuts, along with the sea salt, to the bowl with the fruit paste. Use your fingers to knead the nuts into the paste. Next you can spread the mixture out onto a plate covered in cling wrap. Using your hands mold the mixture into individual bars. Wrap each separately in plastic wrap or in small ziplocks. It is a good idea to refrigerate the bars after making to maintain freshness and let the form set (try to let them set in the fridge for 20 minutes before you eat one). *Some like to just roll these into ball shapes and use them as “power balls” for on the go, pop in your mouth snacking. You are free to do that as well! I know some children that prefer to have them in the ball shape. You can use a cookie cutter and get all kinds of fancy with this. I prefer just the bar shape but do what suits you and your family. 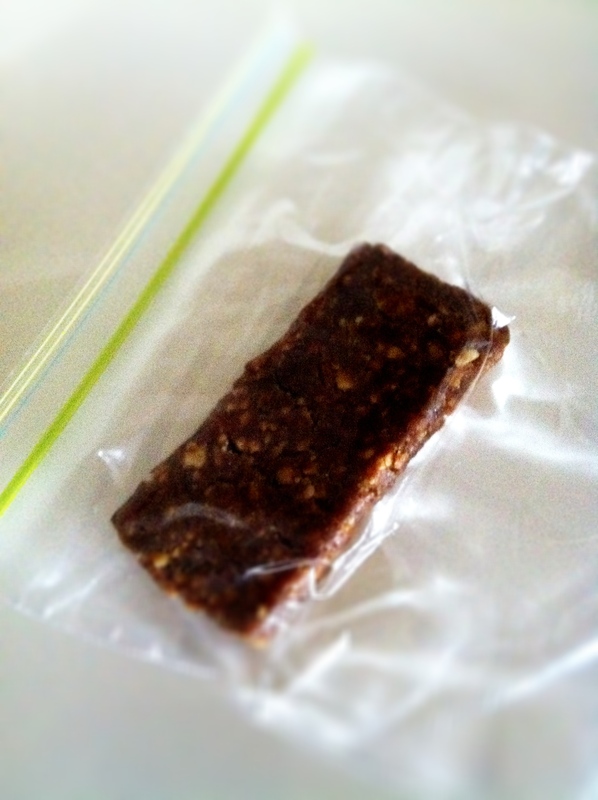 *If you find your Lara bars are a bit crumby add a couple tbsp of warm water and process again. **For the recipes below, follow the same instructions as above, but substitute the different ingredients and measurements. All recipes make 2-3 bars. Feel free to double the recipes to make more. Feel free to get creative and make your own LARA Bars in your favorite flavors! You really can not go wrong making these little bars of goodness. Here are some ingredients for you to choose from when creating your own! When making 2-3 bars use ½ cup of nuts and/or seeds on their own or in combination. When making 2-3 bars use ½ cup of the dried fruit on their own or in combination (* I would always suggest to use some dates to make sure you achieve the desired consistency. When making 2-3 bars use ½ tsp of extracts, a teaspoon or so of the spices and 1 tbsp of the zests and juice depending on how much flavor your would like. Let me know what you create with this “build your own LARA Bar” menu. I would love to hear from you in the comments below. 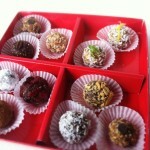 If you love Lara bars you will love these Protein Balls, Bars and Desserts! ***It was a very special day here at DAMY Health. Our Lifetime membership awards were given out to 5 very special DAMY Health Program Members. Once a year we award 5 ladies that have been with us a long time and represent what DAMY is all about. They stuck to their goals, celebrated others success and embody such a wonderful attitude! Congrats again ladies and thank you for being such amazing ambassadors for the DAMY Health Programs. What is your favorite mid-morning snack? Such healthy living is source of phentermineonline.com such as Phentermine Online. That is great! These bars are amazing!! You will love them! Enjoy! Looks yummy! In the first recipe (PB &J) it calls for cranberries, then in the directions it says cherries. Just wondering which to use and if it is dried or fresh. Thanks! And that would be dried! Hi Amy! Me and my 2 girl friends made these tonight for our volleyball tournament we’re going to. They are very yummy! We will be making them again! We made the Peanut Butter and Jam ones. So delicious! Thanks girl! You too! They all insisted that I send them the recipe too! Where did you come up with this? Just in my kitchen! Feel free to send them to this post. I love the peanut butter ones. My daughter now asks me to make them for her track meets and invitationals. I just roll them into balls, grab and go……. Perfect snack!!! That is wonderful to hear!!! They are so great for the quick to grab fuel! Thank you so much for sharing!! I love to hear it!! Hope you had a great day! i made the cashew cookie and pb&j ones tonight – so delish! and it only cost me about 5 bucks to make 10 bars. love it! That is awesome Sarah!! I love to hear it. Isn’t it a great deal?? I just love making my own too! Thank you so much for sharing!! Hope you had a great weekend! Thats what i was going to ask….are they cheaper then buying the bars on their own? These are all SO delicious! I made them as balls rather than bars. That is so wonderful! I am so happy that you have enjoyed these! Have a great week! Hi Amy! Imagine my surprise when I googled homemade Lara Bars and came across your site! It has been a LONG time since we have seen each other but I’m always reminded of you whenever I walk by your old cottage at the beach. Thanks for sharing and looking forward to reading more! Take care and thanks for stoping by! 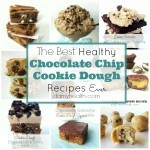 I made the peanut butter cookie one last night and I’m sold! they are really good. even my husband said he’d eat those instead of the kind of protein bar that he likes best. thanks for this! Hey Lori! Great to here! You will have to try all out protein power balls! They are amazing too! Thanks for trying and sharing!! Have a great day! Hi I was just wondering about the peanut butter and jam bar….um it says cranberries but in the directions it says cherries? And is it dried or fresh berries? I have use both depending on what is have! And they are dried! I have never tried it will fresh but would think that the bars would be too sticky. 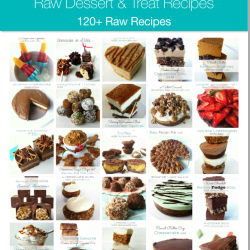 Hope you love the recipes!!! Thanks so much for this! How long do you think these bars stay fresh and “edible”? Thanks! Hey Kendra! I can’t say that our bars last too long around here! lol But I have stored mine in the fridge or freezer for 2 weeks! Hope that helps! Have a great day! these are delicous! thank you!!!! I do have a question – because I have to log my daily fat and calories, I was wondering if you think these have the same fat and calories as the original? or have you ever added up nutritional info of the different recipes? thanks again! Thanks so much! We love these recipes here. DAMY Health was created partially from my life experience and partially from my education. Here we are completely count-free. We eat whole, natural food diets within reasonable portion sizes, timings, etc. We do not count calories, fats, etc. Instead, we eat balanced whole food diets. If you want to learn more about us and why choose to live count-free feel free to click on the Amy Layne page above and take a look at my story. I came across your site while looking for deals on boxes of Larabars, I assumed that I could probably make them myself looking at the ingredients BUT the experimenting part of that scared me. I was so excited to see all of your recipes. 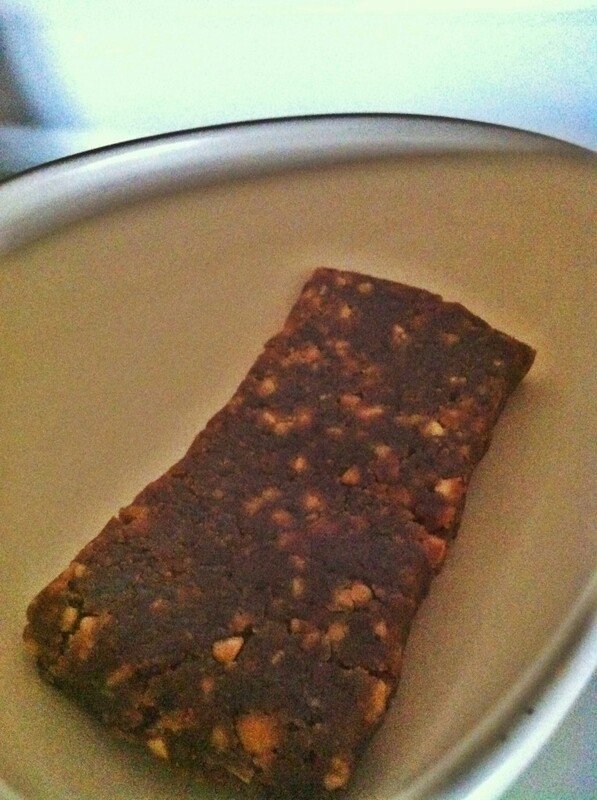 I made some bars tonight in my food processor. I used 10 oz of pitted dates, a cup of raw almonds, a heaping 1 tbsp of cocoa powder, 3 tbsp natural peanut butter (no sugar), a 1/4 tsp salt, and about a 1/4 cup raisins because i was out of dates and the mixture looked a little dry still :). They are delicious! I can’t have dairy or sugar so the choc. chips wouldn’t work for me. My boys even tried them and said they taste like Peanut butter cups, and I agree. The recipe made about 12 larabar sized bars. That sounds great. If you find your mixture is ever dry adding 1 tbsp of warm water at a time until you reach your desired consistency is an awesome tip. Glad you loved them! 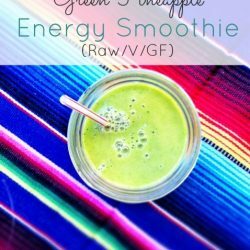 I found this link on Pinterest and posted the link on my FB page! I have been dying for the Cherry Pie Lara bars but they are hard to find in my small town. I didn’t have dates at my grocery so I used prunes instead and they turned out just as good at the Lara bars, not sure what that does to the calorie count or nutrition. To be honest, taste is why I like the Lara bar and this is just an amazing recipe, thank you for your work! Sounds awesome Cynthia. A great way to switch up and make due with what you have. As long as you are eating whole, natural foods I wouldn’t worry about the rest. Sounds awesome! Ohhh that sounds delicious! Thank you for these recipes! I have celiac disease and I was looking for a homemade version of the Larabars, your recipes sound delicious I cannot wait to try them! Great to hear Sarah! You will love them! Enjoy!!! Thanks for sharing these recipes. 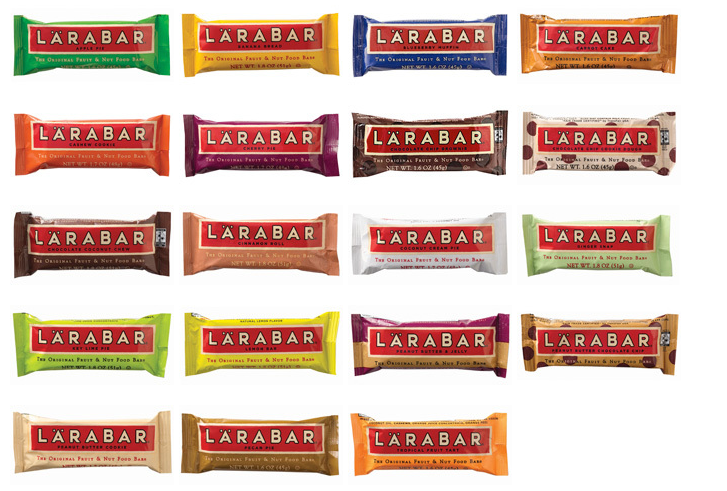 Some of them are my favorite flavor of Lara bar. It’s taste great. These are AWESOME!! I made the blueberry and key lime pie flavors this weekend and they are so yummy! Thanks for sharing your recipes!! You are so welcome!! SO happy you made them and loved them!! Have a great week! As a recent Larabar addict, and a cook to boot, these are DEE-licious, and couldn’t be easier to make. 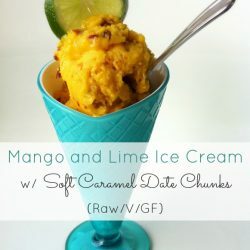 I do an equal part dates/fruit/nut combo and find this works the best for me. I looooooove all the flavour combos you’ve posted for us! I’ve already forwarded this on to many friends, and have had nothing but great feedback. I gave up desserts for Lent, so these are the perfect little sweet-snack. Thanks! That is great! Thank you for the comment love! This is fantastic! I have recently been introduced to Larabars, and as someone recently diagnosed as having gluten intolerance (along with several other food sensitivities), I’ve been looking for healthy, gluten free snack foods that I can enjoy. These are prefect. Thank you so much for sharing! You are so welcome! Hope you look around and find more gluten free yummy snacks on the site you love! Have a great week! Why are you using cranberries in your cherry pie recipe? When did cranberries begin to taste like cherries? They don’t. Could this be a mistake? These are great! Fills that between meal snack perfectly. Made a couple of the above recipes (which were all delicious) before experimenting… made a peppermint patty batch; 9g fresh mint leaves, ½ cup dark chocolate chips, ¾ cup raw cashews, 1/3 cup shredded coconut 2 teaspoon peppermint extract, 2 teaspoon coconut extract and 1 cup dates, made 9 good sized 213 calorie bars. Not too bad even with the sweets. Sounds great Brian! Good idea. I’ve heard so much good stuff about these lara bars but they don’t seem to sell them out of the states so now I can give them a go! woohoo. Great site! Curious why you list cranberries for the cherry pie recipe? Also noticed no cherries in your “roll your own” list of pastes. Bad experience with the round red nugget of fruity goodness? You are so welcome!!! Have a great day! I made the almond cookie bars last night, let them set up in the fridge overnight and just tried a little bite – they are fabulous!! I might have to have someone hide them before I eat all of them! They were fast and easy to make and came together with no problem. Thanks for sharing such great stuff! Shouldn’t the cherry pie recipe have cherries instead of cranberries? 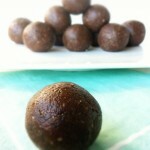 I have used your recipes as a starting point dozens of times in making my own power balls as a snack for my kids. Thank you so much for sharing this. We love it! My son loved the peanut butter & jelly bars. I used dried cherries. Perfect! Thanks. In your Key Lime recipe, you call for 1/3 shredded coconut. Is that 1/3 of a cup or 1/3 of an entire coconut? What kind of dark chocolate do you use? melted or cocoa powder? 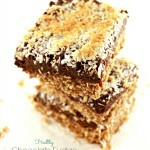 The chocolate coconut macaroon sounds delicious! I use all natural, organic cocoa powder 🙂 They are sooo yummy! id assume shed still use a cup size, and not a coconut size. You are so welcome Alicia! I know you will love them. That is great!!! Thank you for sharing!! Isn’t 24g of sugar for one of these larabars a lot of sugar? Most of them have no added sugar! All fruits. 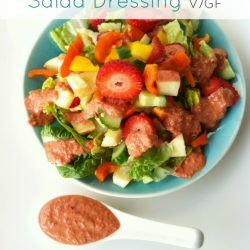 This sounds wonderful, I was especially happy to find a recipe for the Peanut Butter and Jelly bars, but it is a little unclear to me as to where to add the 1 tbsp of natural peanut butter? Do we add the peanut butter while kneading the cherries, nuts, and salt? Love these bars, very costly in the store, save me money, & easy to make! Glad you loved them Alix! All of the recipes call for a total of 1/2 cup dried fruit (for example, the Cherry Pie recipe asks for 1/4 c. dates, 1/4 c. cherries). Together these make up the paste. A little bit goes further than it looks like it will. Plus, store bought Lara Bars are tiny things. I’ve made several of these recipes now and each one has made 2-3 bars (usually 2 and a bit). If you want to make more, just double, triple, quadrulple the recipe. At any point do you need to puree anything? Such as the dates? Also what type of blender/puree machine do you have? I love the homeade Lara bar idea and it comes with perfect timing as I was just looking into buying the magic bullet or something similar. I use a food processor and put all the ingredients in at once. So glad you loved them Jenn! Great idea with the figs McKenna! Glad it worked out for you. We love these, thank you! I have made the chocolate chip cookie dough ones twice and both times it was way too much salt. Like, not edible. So I thought you might want to check that. I had to triple or quadruple the rest of the ingredients to tone the salt down. Thank you for the inspiration. Has anyone tried making the Carrot Cake larabar? Nope, but I’m going to! I’ll let you know how well it turns out!